In this article we focus on a feature relaased in HYSYS v7 which will be of interest to many HYSYS users - support for various reboiler configurations in the column, available from the Input Expert. The HYSYS release notes outline features and enhancements in a number of different areas, summarized at the end of this article. 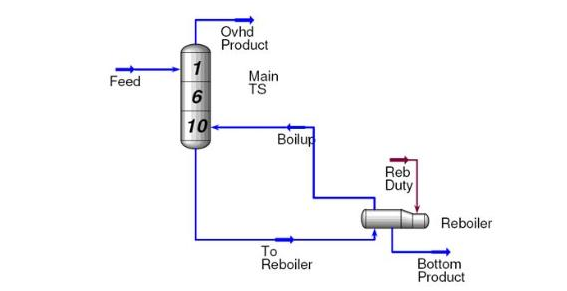 Regular HYSYS reboiler – Applicable to the once-through option – heating and separation are accomplished in the reboiler. 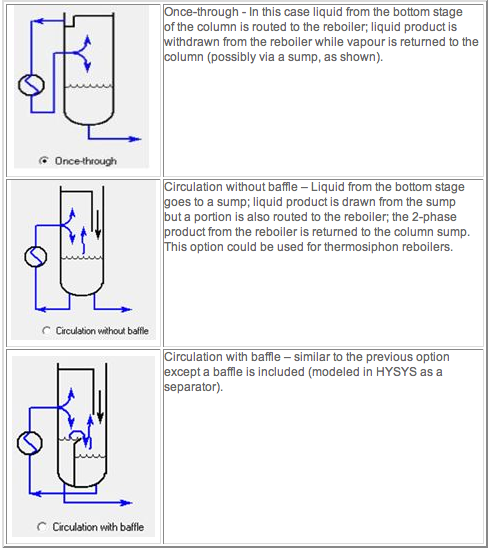 Heater – The reboiler is modeled using a heater followed by a separator which withdraws the liquid product and routes vapour to the column. 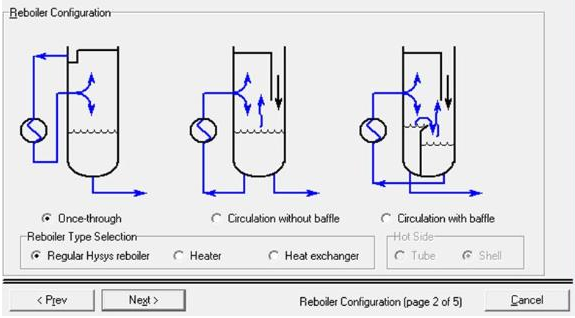 Heat Exchanger – The reboiler is modeled using a heat exchanger followed by a separator which withdraws the liquid product and routes vapour to the column. We have learned from experience that subflowsheets for Amine columns should in general not be manipulated; adding additional equipment to the subflowsheet for amine contactors and regenerators may give incorrect results. If you have any comments on this functionality which you would like to share with us or other HYSYS users, please e-mail us.